It's a rare chair, but there is a 1970s Vicario armchair by Vico Magistretti for Artemide on eBay right now. We have a soft spot for the Dalu, dating from some years back when we found two discarded as 'old plastic' in a box on a car boot sale. Needless to say, we snapped then up sharpish. Thing is, our white lamps look pretty dull compared to the limited edition glitter version of Vico Magistretti-designed Dalu Lamp. It's a design we flagged up some years back, but this example of the 1960s Vico Magistretti Eclisse table lamp is currently much cheaper than any reissue. We have featured this in reissued form on the site in the past, but if you want a cheaper version of the space age classic, there's an Artemide Eclisse table lamp by Vico Magistretti on eBay right now. 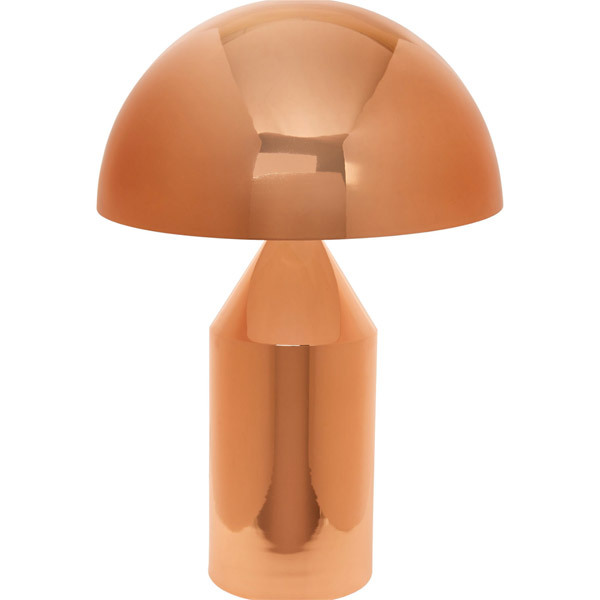 Not an obvious vintage design to reissue, but the Alega table lamp by Vico Magistretti has been reissued by Vistosi. It's a very simple, possibly timeless design from 1970 – but there's more to it than might meet the eye. That shade is white blown glass for example, while the base is in crystal glass. Powered by 3 x 40W bulbs, you can pick one up for £380.